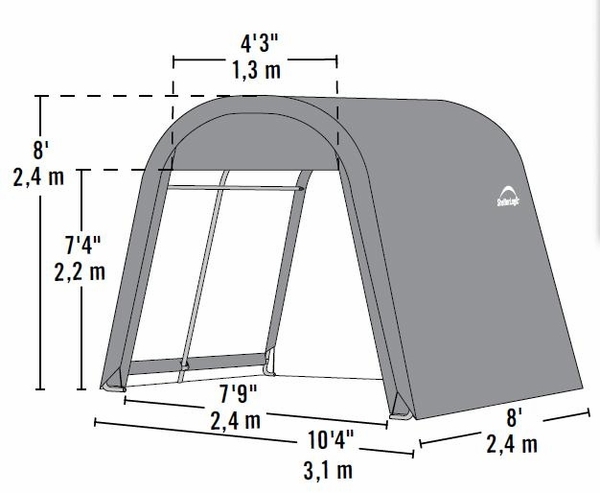 Do you think portable shelters are flimsy and easy to fly away? Let this rounded shelter by Shelter Logic prove you wrong! 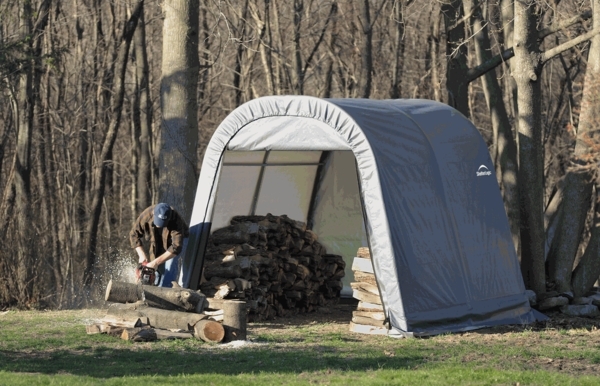 Built to last with sturdy1 5/8" powder-coated steel frame, this shelter is the perfect answer for protection for your car, yard equipment, or other outside gadgets. Ratchet Tite tension system and Easy-Glide sliding cross-rails keep the cover smooth and tight, while universal foot plates offer easy and solid connection to ground anchors, cement, or pony walls to prevent fly-a-ways. Front and rear zippered doors mean you have easy access with the ability to zipper it down for added protection.